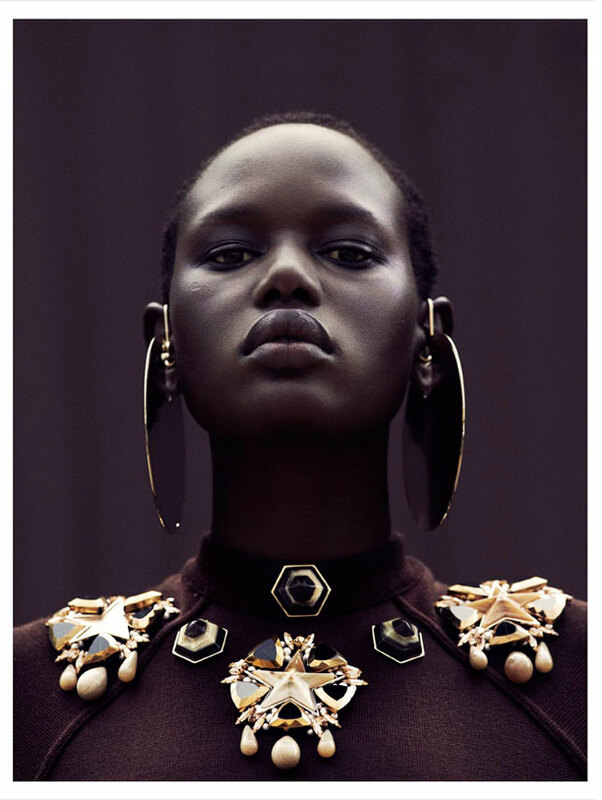 Ajak Deng is absolute perfection in this editorial. Skin, hair & clothing were all impeccable! 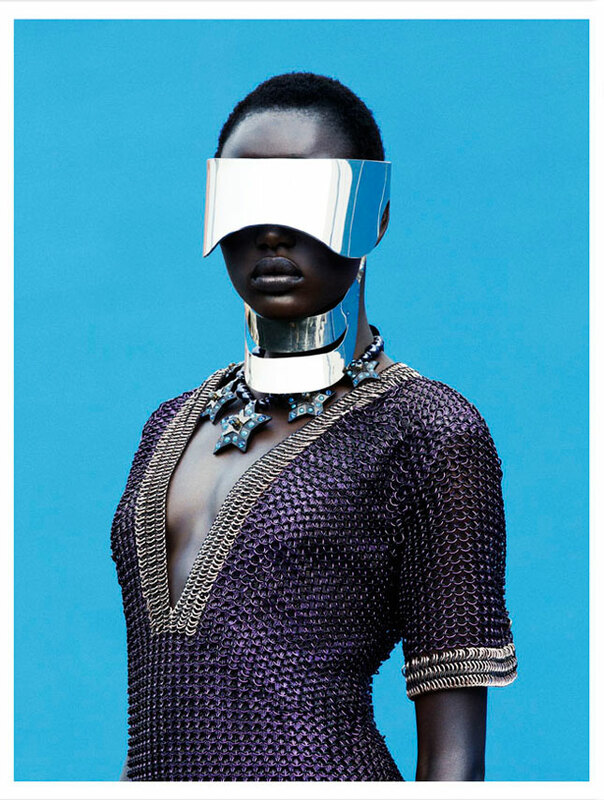 Loved the futuristic motif in the accesories and the daring fall outfits! Are you digging this beauties? All my natural’s with TWA’s stand up! Ajak is representing!